Dermal fillers – such as Ellansé™, Teosyal™, Restylane™, Aquamid ™or Radiesse™ – can be used as an anti-wrinke treatment, plumping the skin leading to a fresher, more youthful appearance. Dermal fillers can also be used as a lip enhancement to plump up lips to give a fuller, sexier mouth. If your lips are particularly thin or if your lines are deeper, you may want to consider a lip filler such as Restylane Perlane or Teosyal Deep Lines. Dermal fillers are particularly effective at removing dark circles under the eyes, as you can see in the before and after pictures below. Why choose Cellite Clinic for dermal fillers in Cardiff? Dermal fillers need to be administered not only by a medically trained person for safety reasons and best by someone with an artistic eye. When dermal fillers are injected badly, especially in the cheeks or the lips, they can make the patient look taut and unnatural. Dr Judodihardjo and Kay Mounter, RGN have performed thousands of dermal fillers treatments in Cardiff over the years, so are immensely experienced. They take pride in making sure that our patients end up not only looking younger but natural. The dermal filler is injected into lines and wrinkles in a series of quick injections. You may feel a slight sting as the needle is inserted, but this quickly disappears as the dermal fillers come incorporated with a local anesthetic. 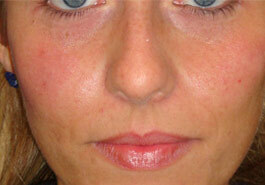 The result of a dermal filler can be seen straight away. You will notice some transient redness and swelling where the filler has been injected but this will quickly subside, often within the hour. Occasionally some bruising may occur. Dermal fillers will bring an immediate improvement in the texture and fullness of your skin or lips. Depending on your metabolism, dermal fillers may last anywhere between six and eighteen months. Hyaluronic acid filler is completely broken down within the skin over a period of months, eventually leaving no trace of the filler. Aquamid is different. Please visit the Aquamid Cardiff page for more information. 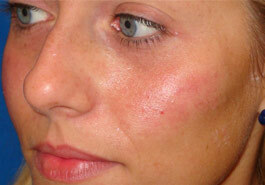 Dermal fillers cost from £250 to £550 per vial. The total cost of treatments can only be determined after a full consultation and an appropriate treatment plan is drawn up based on individual requirements and products selection. What should I do next if I want Dermal fillers?